This Steelwrist Attachment is available to view at our Rugby depot. Steelwrist small tiltrotators are developed with a focus on flexibility, building height and low weight that is so important for compact excavators. Often Direct Fit tiltrotators are chosen in this weight class. With a steelcasted structure, the weight can be lightened while strength is maximized. All you need to facilitate your work. Gear housing, bottom and top in solid cast steel, hardened shafts and piston rods, gripper cassette that can be retrofitted and and central lubrication as option. Delivered with control systems that fit your excavator regardless if you need a two of four hose solution. X04 is our smallest tiltrotator perfectly matched to any excavator between 2 and 4 tons. Mini excavators are sensitive to excessive weight and therefore the X04 is designed to combine strength with the lowest possible weight to make sure that the excavator can benefit from the added flexibility. Our unique tilting angle of ± 45° gives the machine operator unrivaled reach and precision. 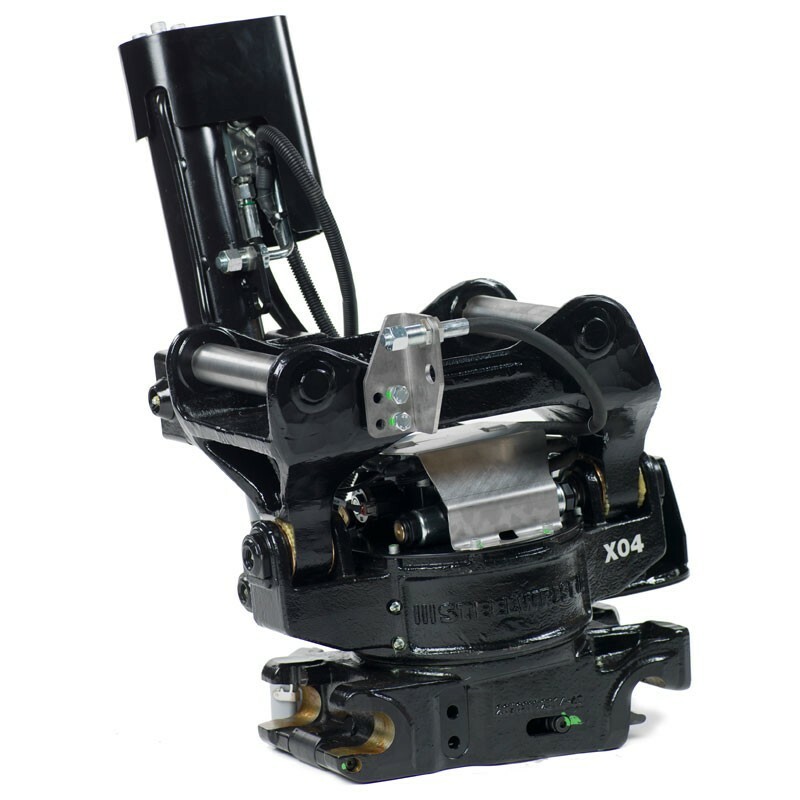 The X04 is always equipped with a hydraulic quick coupler in the lower part. We recommend to use the symmetrical quick coupler due to it’s robustness and low build height. S40 is the right size for X04. The top part can be directly attached to the excavator or attached with a S40 quick coupler for maximum flexibility.